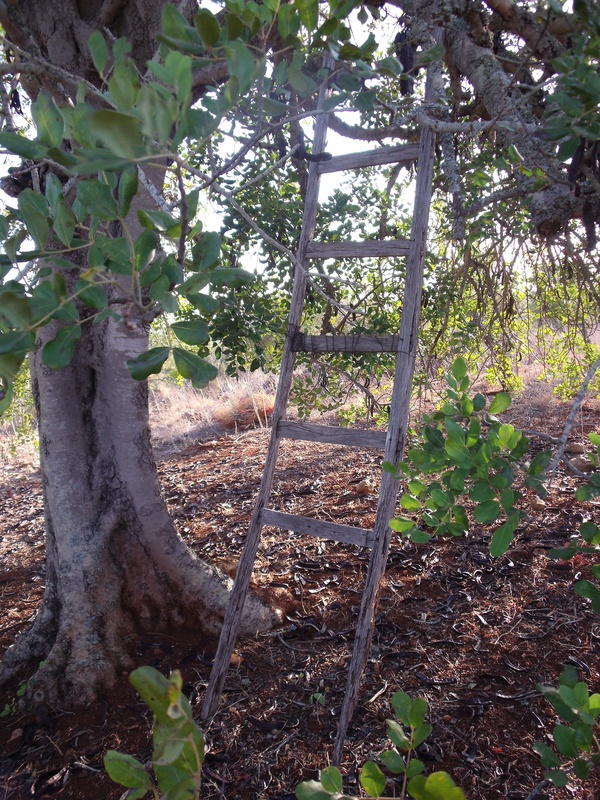 August is the month that the carob harvest is undertaken. 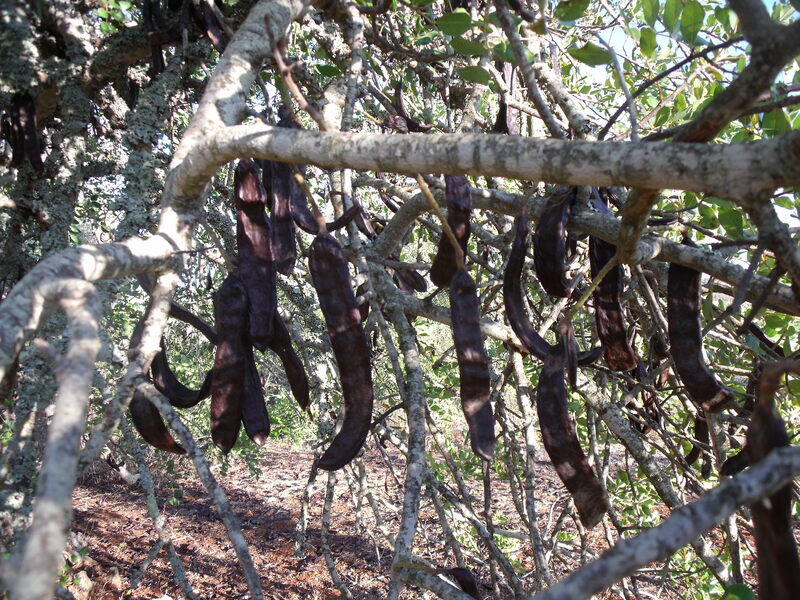 A carob is something that looks like a black runner bean and grows on trees. The trees are, well some are, very majestic and truly beautiful to look at. It has many, many uses. Most people automatically think of its use in diabetic chocolate but it goes into some ice-creams and other foodstuffs to act as a sweetener, it is used extensively in the pharmaceutical industry, beauty products and in many other areas including chewing gum. For those people who would like more sensible facts have a look on http://pigletinportugal.com it’s all there. The country people where I live tell me that in the past they would use the dried carob pods as a baby’s rattle and something that the baby could use to help with teething. I’ve tried nibbling a piece of the pod and although it’s sweet it isn’t a flavour that appeals to me. The cash crop isn’t in the whole carob but only in the rock hard seeds inside, (they look like miniature brown Smarties) not to waste anything of the carob the discarded pods are used to feed their pigs. 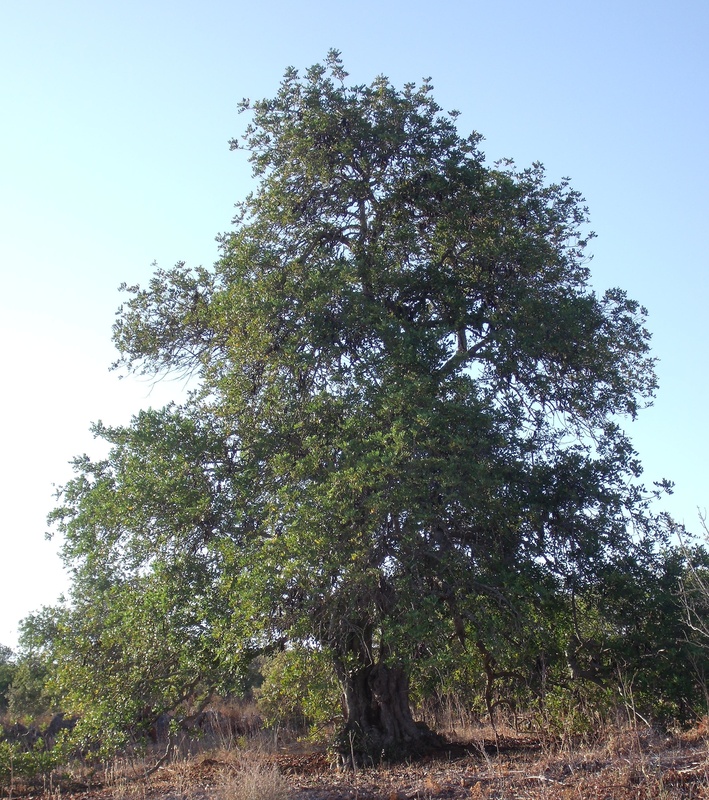 In fact the carob tree provides good compost material in the shape of its’ discarded leaves that form a really good mulch as they retain a lot of water. 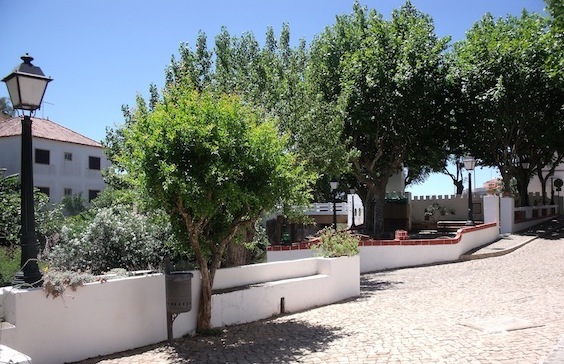 We were rather fortunate when we bought our home as it came with approximately five acres of land together with numerous carob trees, almond trees and fig trees. 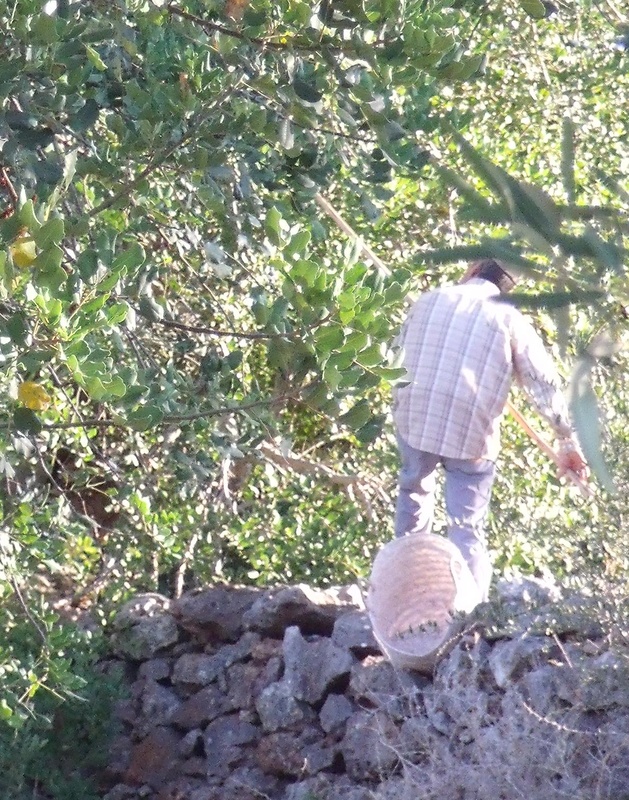 When my husband and I made our decision to come to live in Portugal it wasn’t with any intention of doing hard manual labour and that is just what harvesting carobs means. Our nearest neighbours came to us and asked if they could collect the carobs in return for looking after the trees, cor did we jump at the chance, you bet we did. Traditionally the men go around and bash the carobs down using a long pole and they leave their womenfolk to gather the pods up. Bashing the carobs down is very hard work, I know I’ve tried it on one occasion and I’m not going to try it again. The men should really wear hard hats (‘Health & Safety’ don’t you know) for this as when a carob falls it hurts when it hits you, honestly these harmless looking objects come hurtling to the ground gaining weight with every centimetre they tumble. The men also climb up the most rickety ladders imaginable for their poles to reach the very top of the tree. No “Risk Assessment” form filled in I bet! The women spend hours picking up the carobs. Some of them stand bent over with their legs in a V position and gather whilst others, including myself, squat down and pick them up. I must state here and now that I don’t spend hours squatting down, only the time it takes my husband and myself (no tradition that it’s woman’s work in our house) to pick up the carobs that have fallen down by themselves. 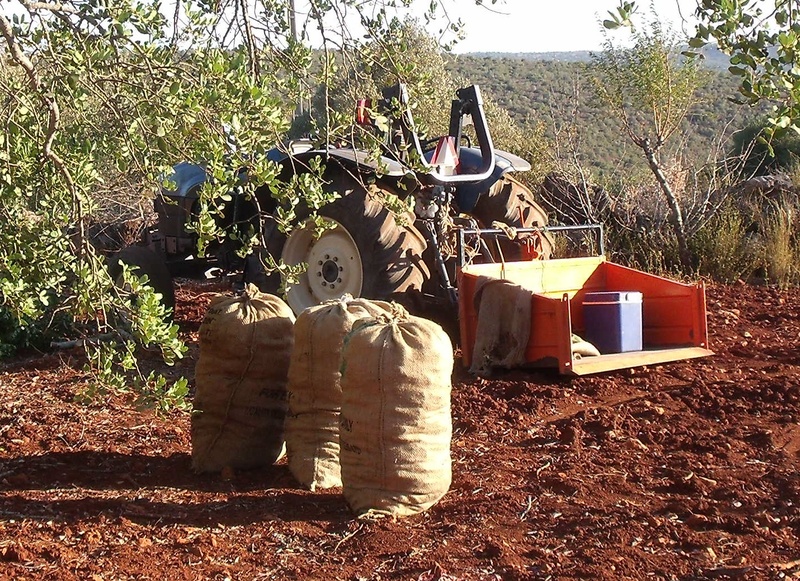 Not all the people who harvest carobs have tractors and we have on occasions seen laden donkeys, wheelbarrows, people on motorcycles with bags of carobs draped around them, horses being ridden with bags of carobs strapped to them, bicycles and mule drawn carts. Although there is a lot of work involved, the price paid for the carobs is very low much the same as farmers get for their produce every where. 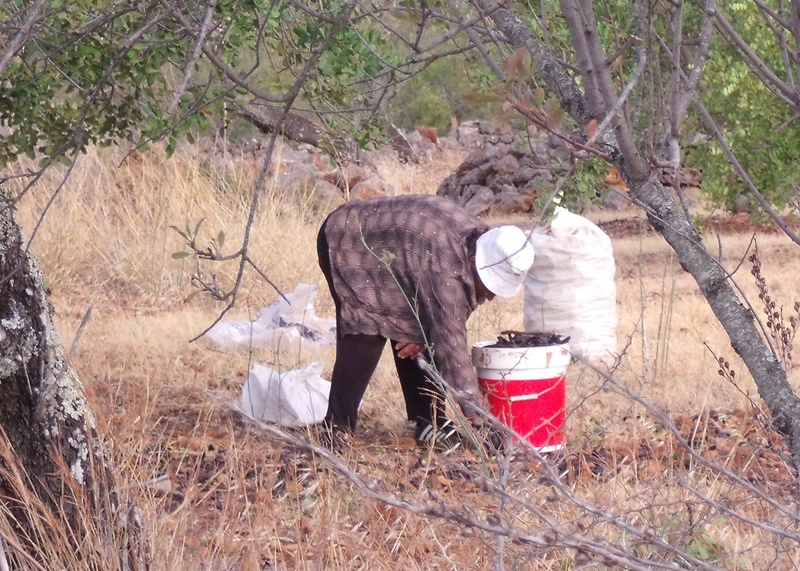 Well that ends part one of this exciting exposé of The Carob Harvesting …..
Five Acres of land…lucky you! I’d def have pigs and chickens. What a lovely story re. carobs being used as a baby’s rattle or teething ring! Thanks PiP, your comments are greatly appreciated. Works really well with us, thanks for your comment. I was told by my geography colleague that if you don’t harvest the carob tree, it will eventually die. I have been browsing online more than three hours nowadays, yet I never discovered any interesting article like yours. It is pretty worth enough for me. In my view, if all site owners and bloggers made just right content material as you probably did, the internet can be much more helpful than ever before. Thank you so much for your kind comments, I hope you will drop by again. I think other website owners should take this web site as an example, very clean and great user friendly layout. 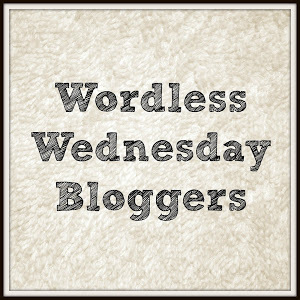 WordPress is the site I use, they have lots of themes to chose from. 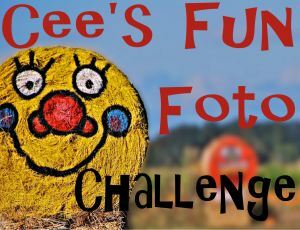 Take a look and hopefully I’ll be able to follow you. Great story it is really. I have been awaiting for this information. 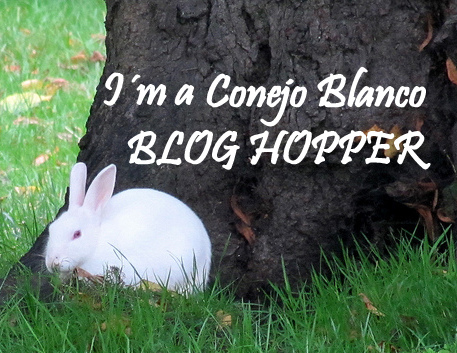 Thank you, I’m glad you enjoyed my blog. I’d forever want to be update on new content on this site, bookmarked!